The dynamics of the cross-strait relations in 2019 have been revealed by Taiwan and mainland China’s top leaders’ speeches in the first two days of 2019. 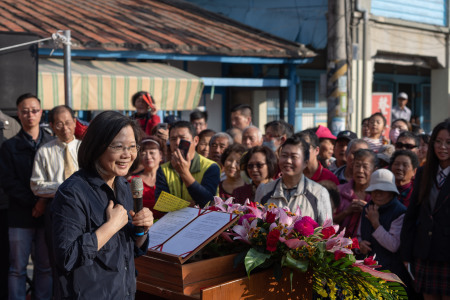 In her New Year speech on January 1, Taiwan’s President Tsai Ing-wen emphasized her determination and clarified her administration’s strategies for defending Taiwan from China’s increasing efforts for unification. On the next day, January 2, China’s President Xi Jinping expressed his confidence and eagerness, and meanwhile, proposed various strategies, for promoting unification with Taiwan in his speech commemorating the 40th anniversary of issuing the Message to Compatriots in Taiwan. Several hours later Tsai responded to Xi’s speech in a press conference by completely rejecting his proposals including the 1992 Consensus, or more essentially, the one-China principle, as the political foundation for current cross-strait official relations, and the One Country, Two Systems as the model for future unification. It has been clear from this indirect conversation between the two leaders that the 2019 cross-strait relations will be mainly characterized by the conflicts between China’s promoting and Taiwan’s rejecting unification. Two impending factors, Taiwan’s presidential and legislative elections in January 2020 and the American Trump administration’s rising efforts to contain China, will complicate these conflicts and bring more uncertainties to the cross-strait relations in 2019. The changing public opinion in Taiwan, through declining of Taiwanese nationalism, the rising independent voters and increasingly more realistic public perception of Taiwan’s democracy, are partly a result of these new trends. The DPP’s electoral debacle in the 2018 nine-in-one local elections, are the most relevant context for us to better understand the two leaders’ speeches. Having been encouraged by these favourable factors, Xi seems to believe that China’s carrot and stick strategy has been effective in dividing Taiwan, which put China in a rarely advantageous position to not only repress the pro-independence force but also promote pro-unification activities. His speech may be viewed as an announcement for the advent of the new pro-unification era, which means the Chinese government will more proactively and significantly push the cross-strait relations toward unification. The most important pro-unification strategy implied in his speech is the clarification/re-definition of the 1992 Consensus. Previously, the Chinese government’s official definition of the Consensus was the one-China principle, and Taiwan’s KMT’s definition is “one China, different interpretations”. Because both of them accept “one China” as the common ground, they can maintain good relations. But the Chinese government has gradually realized that the KMT had been taking advantage of the Consensus by gaining benefits from the good cross-strait relations without working for unification. Xi’s speech clarifies that the Consensus is not only about the one-China principle, but also that the two sides need to dedicate themselves to unification. In other words, accepting the Consensus means, on the one hand, to affirm that mainland China and Taiwan belong to one China, and on the other, to work with the mainland for unification. This is a pre-emptive strategy mainly aiming at Taiwan’s next party in power after the 2020 presidential election. Another important pro-unification strategy proposed by Xi is to hold cross-strait democratic consultation for unification, which will welcome Taiwan’s any anti-independence force to participate. The Chinese government has tried and will try harder this year to pass over the DPP administration and connect itself with the Taiwanese society directly. 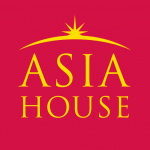 The so-called cross-strait democratic consultation seems to be an innovative way to establish this direction connection. If the consultation process successfully involves true representatives from a variety of fields in Taiwan, the consultation results may be able to push Taiwan’s public opinion to be more favourable of China. However, there is also the possibility that this consultation process, if being organized unwisely, would lead to strong backlash against China by the Taiwanese society. About five hours after Xi’s speech, Tsai told the public that Taiwan could not accept the 1992 Consensus because it tried to impose “One Country, Two Systems” on Taiwan, making Taiwan another Hong Kong that had been rejected by most Taiwanese as an acceptable model. Furthermore, she believes that Xi’s pro-unification speech has exactly justified her argument for defending Taiwan’s sovereignty and democracy from rising China threat. Her quick and clear response has won back many pro-independence supporters that the DPP had lost during the local elections. Tsai criticizes China as a serious threat to not only Taiwan, but also the region and even the global democratic camp, trying to garner both domestic and international support, especially from the Trump administration. The Trump administration’s intensifying efforts for containing China provides a good opportunity for Tsai to collaborate with the US to improve her popularity in Taiwan. China will surely be unhappy with Taiwan-US collaboration, but will have to be very cautious in punishing Taiwan for it, as the punishment might push more Taiwanese to vote for the DPP in the 2020 elections.